Step 1: Apply Lip Lock to the Lips With the Provided Sponge Applicator. Step 2: While Still Wet Dab Glitter on top of Lip Lock. Step 3: Press Your Lip Together and Allow to Dry!!! Now Your Bling is Complete!!! We recommend that you do not use a Lip Gloss on top of the Lip Lock Endurance Color the gloss can break down the dye in the product!!! 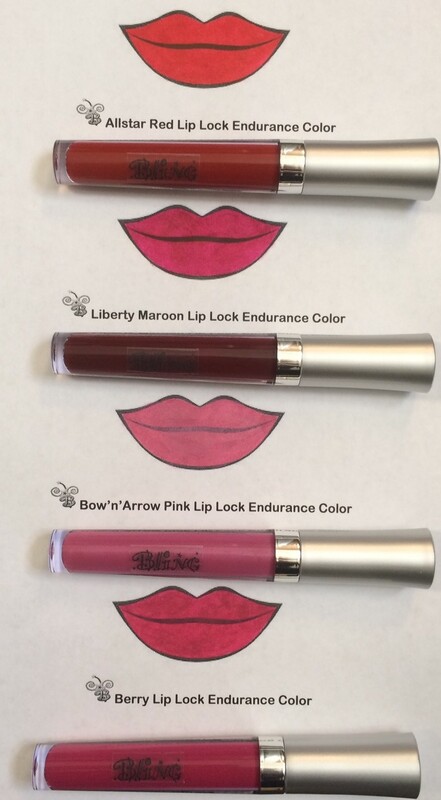 ~Long Lasting, All Day Color Stay Lip Lock that wont fade or bleed onto your teeth or Uniforms!